One of the main legacies of the 2014 Scottish Referendum will be the multitude of images from all sides that document the passions and the pains of the country's most pivotal political moment of the twenty-first century so far. With this in mind, it's only fitting that some kind of collective response is gathered. Step up photographers Colin McPherson, Jeremy Sutton-Hibbert, Sophie Gerrard and Stephen McLaren, who as Document Scotland have pulled together some fifty to seventy-five images of Scotland and its people from the front line to commemorate the first anniversary of this seismic event. A collection such as this reminds us how documentary photography is so evocative of moments great and small, as the human hearts behind those moments are framed in a way that both historicises and mythologises them in the best senses of both words. While a patina of politics is inherent in such an undertaking as The Ties That Bind, there is no polemic here. The artists showcase a range of viewpoints that hang together in a style that goes some way towards capturing the messy diversity of a mongrel nation in flux. Scottish National Portrait Gallery, Edinburgh, Sat 26 Sep 2015–Sun 24 Apr 2016, free. 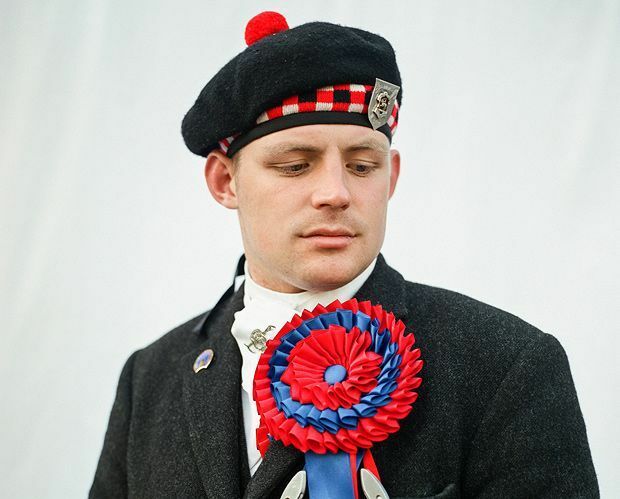 Images of Scottish people from the collective founded in 2012, comprising Colin McPherson, Jeremy Sutton-Hibbert, Sophie Gerrard and Stephen McLaren. The show is timed to take place one year after the referendum on independence, and is designed to reflect the multiplicity of views and challenges associated with the event.